I mean, it is nice to see musicians in their element, is it not? Working, playing, creating, and just being? Yes, as star struck as we are as a society, many of us have started looking under the hood to see what drives the bandwagon. Well, Jim Colegrove must have driven a Model A when he first started. He was recording before The Beatles were the Beatles. He worked in studios with one- and two-track recorders. Wah-wah and fuzz guitar were in the future and echo was an effect you had to work to get right. 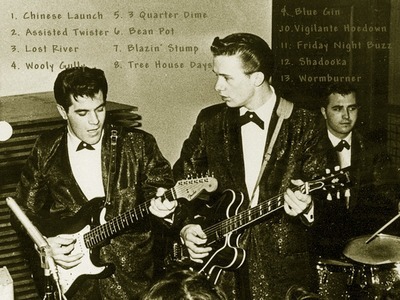 Acceptable amplifiers of the day included Silvertone and Fender was top o’ the line for most beginning guitarists. And albums were new. Long Playing Records, that is. When I first approached Jim, I thought he would brush me aside. The last thing he needed was someone digging into his archives and his past. He has never stopped working— in the studio if not with bands. While I like to think my life is music, his life is music! There is a difference. May I, at this point, point you toward the first two pieces in this series of historical articles? You really should read this from the beginning. It is not just Jim but the period and the music stars and music people who drove that bandwagon. Here is the link to Part One: The Early Years. And Part Two: The End of the Age of Innocence. So let’s get this party started. When we last left Mr. Colegrove, Teddy & The Rough Riders were left behind while Jim attended to military duties (he had joined the reserves). Suffice it to say that when his immediate duties were fulfilled, he returned home and continued the life he had been leading before he had left. Minus the band, of course. I (immediately) worked on reuniting The Rough Riders, Colegrove said, and lined up Les Sayre and Denny Boyd. Bob Brane was playing with Sonny Flaharty’s band, The Young Americans, and didn’t want to quit him. Teddy Grills had returned to the area and wanted to play again. Patty had bought a new Silvertone guitar and amp for him. 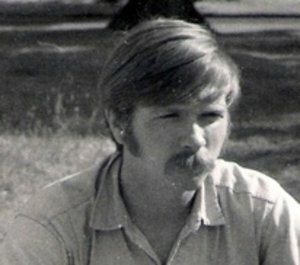 In October (1964) Phil separated from the Army and came home. He pulled his Lowrey organ out of mothballs and we set up at the Sayre’s house to rehearse. Not long after that, Teddy & The Rough Riders were once again playing local dances. We bought a 1936 Buick hearse to haul our equipment. We did some body work on it and painted it Volkswagen metallic blue. Pat Fritz painted the band’s name on the sides, in red. On the back door, we had her paint “You are following the late(st)— Teddy and The Rough Riders— a hard band to follow!” in black and red. It looked really fine. They bought new outfits from Price Stores in Dayton because they had the latest fashions at low prices. They worked on new songs sweeping radio and started playing the old circuit, mainly college dances, though things were changing fast. It was clear that the British Invasion was on and Mod was in, said Colegrove. Things had really changed since we first started the band six years before. The band played at a new dance hall known as Forest Park Arena. The dances were put together by the people behind the old Menker’s Party Hut and they brought in the band’s old manager, Bob Holliday, to DJ. 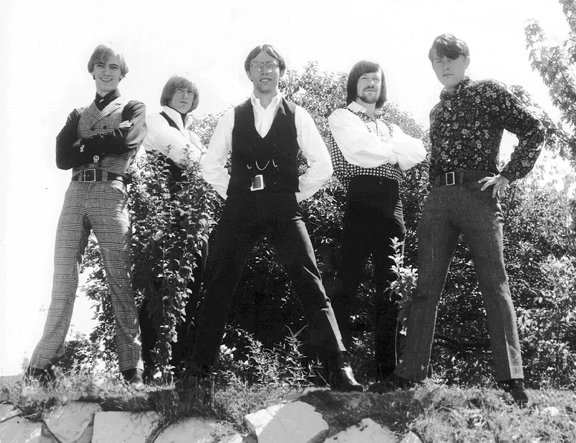 Teddy and The Rough Riders played with and behind some of the touring acts, such as The Dovells and Tha Shangri-Las. The Dovells asked me to go on the road with them, Colegrove commented, and I got into a fight with The Shangri-las. (When we played behind The Shangri-Las), we hadn’t even played a note when one of the girls apologized to the audience ‘for the band.’ I took it that they could perform by themselves, grabbed my guitar and walked off the stage. It took an apology from one of the girls to get me back on stage and we played their songs brilliantly for the entire performance. The band played on. The music changed. I was changing. The brother of a friend’s wife returned from school in California with a supply of marijuana. One June night, we all turned on. Things were… really groovy. Then came the 4th of July weekend. That weekend, Colegrove’s mother unexpectedly died. His life was changed in an instance. He struggled through the aftermath and slowly began to mend but it left a gaping hole in his life. It wasn’t going to be the only change, either. The deal would be acceptable, explained Colegrove, if Susan Darby was added as vocalist and Teddy Grills was sacked. Phil and I stewed over the decision. We knew there was no compromise. We both wanted to make a change and decided that the best thing to do was break up The Rough Riders for good and reform under another name. That name turned out to be The Knights. Not a great name, Colegrove admitted, but it had to do. The band worked on new songs, opting for the big hits of the day— Beatles, Rolling Stones, and a little Sonny & Cher for variety. Colegrove sang Dylan and they worked up a few R&B tunes. They were a hit right off. There was a line in front of the club waiting to get in. We played five nights a week at first, Wednesday through Sunday. Later, we added Tuesdays as well. The plays was packed except for weeknights after midnight. Their success coincided with the times, which were a-changin’…. Not only the times, but the band and even girlfriend. Colegrove had been involved with a girl who had moved to California but who was coming back to Dayton for a visit right after Christmas. Meanwhile, he had become involved with a girl closer to home. More importantly, Phil, the keyboard player, was involved in a head-on automobile accident and was hospitalized. Colegrove scrambled to find a replacement and called Jim Wooten, former singer and organist with The Rondels, who agreed to fill in. He fit in perfectly. Shortly thereafter, the wheels started coming off the truck. Or so it seemed, until…..
Denny Boyd had enlisted in the Navy earlier in the year on the deferred program (sign up now, serve later). His time for active duty had come so we now needed a new bass player. We enlisted Mike Flaharty, Sonny’s brother, and the band’s identity change was complete. (Or so we thought) Mike could play trumpet and bass at the same time, a new dimension in sound and show. Then we got the news that our drummer, Doug Porter, was leaving the band and going to play drums with, of all bands, The Mark V! 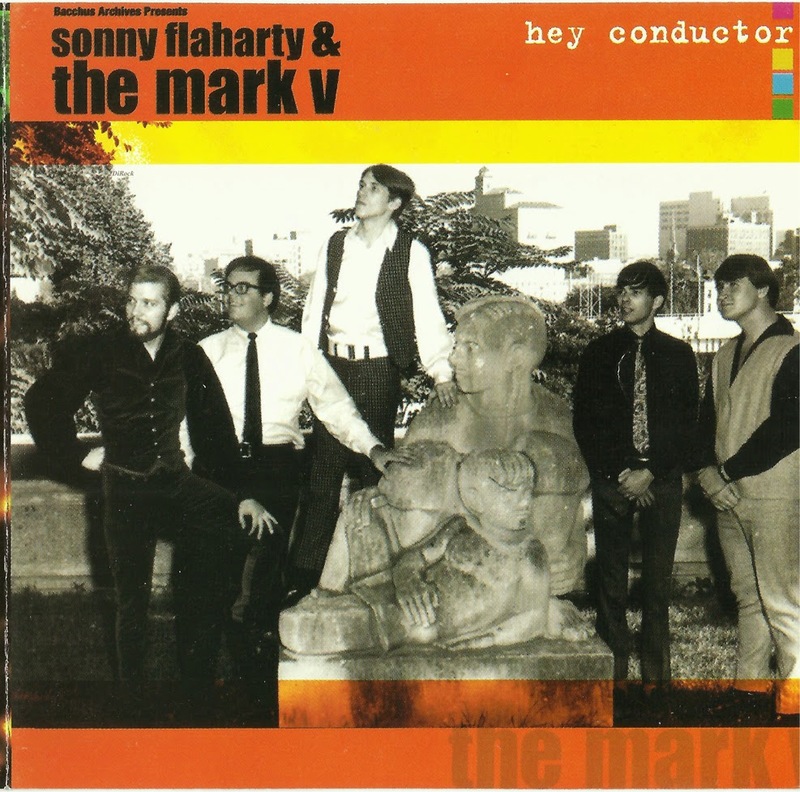 The Mark V had Sonny Flaharty as their lead singer, having replaced Susan Darby when she had joined us. The Mark V’s drummer was a guy named N.D. Smart II. He was a good drummer but had a reputation as a hard guy to get along with. N.D. owned a lot of the equipment the band used, most of it Vox. The problem seemed to evolve around that and the control he tried to exert over the group. Regardless, we were high and dry and needed a drummer, fast. Soon, the phone rang and on the other end was N.D. asking who we had lined up and offering his services. I was reluctant, but everyone else, including Susan, was all for it. And here’s where things began getting interesting. It turned out that N.D.’s mother and my sister went to high school together. N.D. and I developed a friendship and found we were interested in the same kinds of music. We complemented each other in many ways. I learned of Jim Kweskin & The Jug Band, Eric Andersen, Freddie Neal, Tim Hardin, and Two Guys From Boston through him. We started hanging out and working on tunes together. We began to change the style of the band. I bought an electric twelve-string guitar, one of the first ones Fender made. Before long, Susan Darby left the band to go solo. At that time, the band name changed from The Knights to Thee Rubber Band and assumed a new identity. We began to experiment and jam on arrangements, pushing them farther toward extended solos. We began wearing clothes which expressed our individual ideas of fashion. I started sending money to Bobbie Fritz in San Francisco and asking her to buy clothes for me so I could be ultra-hip. Bell-bottoms, paisley, polka dots, Spanish boots, wide belts and balloon shirt sleeves were in. We went to Leon Turner‘s new home studio, now in his garage, and made some tapes. Among the tunes we recorded was a folk-rock version of the old Lefty Frizzell tune, The Long Black Veil. We gave a copy of the tape to Jeff Franklin for demo purposes. About that time, we decided of we were ever to have a chance at the big-time, we would need to get out of Dayton. I wanted to go to the West Coast because Bobbie was there. N.D. wanted to go to New York because he knew people there. We decided to take our chances on a trip to NYC. N.D. already had a trip to the Big Apple planned and had some money. He would stay with a friend, scope the scene, find a gig and make arrangements to get the rest of us there. We gave notice at Little Mickey’s. It is not a good idea to leave a job when you already don’t have another one. We played out our contract and made arrangements to get out of town at a moments notice. N.D. called with the news that things were a bit tougher than he had expected. He said he would call back as soon as he could tell us anything. We waited. He finally called, saying things had changed. For him, at least. He had gotten an offer to play drums with The Remains who were going to play parts of The Beatles tour. How could he turn that down? I called Jeff Franklin with the news. Jeff took us on as a client and booked us some gigs that summer. He shopped the tape that we had made at Leon’s house and told us he had an offer for a recording contract from some New York producers named Randell-Linzer. They had produced The Toys’ “Lover’s Concerto”. They were interested in making a single out of “Long Black Veil”. They wanted us to come to New York in September for a recording session. The last week of August, I received a phone call from N.D. saying he was back in town and had to see me. We went out to the Belmont Drive-In Theater and smoked pot and talked. He told me some great stories about how things happened to him in New York, about The Remains, about The Beatles, about a guy named John Kurland. N.D. thought he had the key to success in the music business in his hand. He believed he had the contacts to make it. He told me he wanted me to get in touch with him as soon as we got to New York. He was staying at The Gorham Hotel in midtown Manhattan across the street from Carnegie Hall. I told him about our deal with Randell-Linzer but also told him that I would call him the moment we arrived in town. N.D. was skeptical about Jeff and the deal. He had something else in mind, I was certain. He did, however, impress me. His stories were exciting and I was romanticizing events again, imagining things that were dreams, perhaps, but where would the world be without dreamers? Where, indeed. The next installment, we will follow the boys to New York City where, for many, dreams are made. 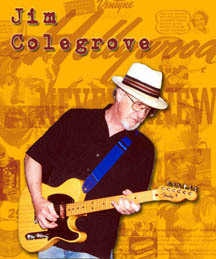 Will Jim Colegrove and the guys make it. Or will they return home, penniless? Tune in next time to find out what happens on this little roller coaster ride to fame and fortune. 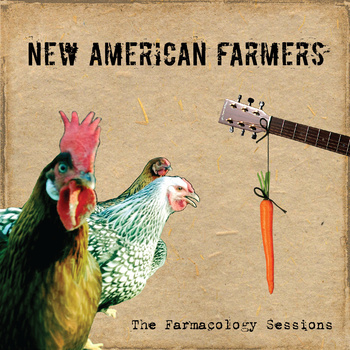 Listening to the new New American Farmers album, The Farmocology Sessions, a question popped into my head, to wit, “When is the band not the band?” Of course, I refer not to The Band, which caused multitudinous problems for music writers by naming themselves such, but to the generic term, the band (apply where needed). 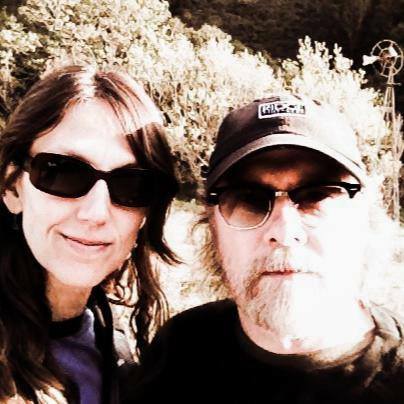 In the case of the Farmers, it applies mainly to the two kingpins of the band and its sound— Nicole Storto and Paul Knowles. Their first album, or at least the first album I heard (Brand New Day) showcased a solid and future-tense Americana duo with excellent sidemen (listen here). The plucked banjo of the first track, Everywhere, fits the mold so many people seem to want to hear these days— a slight country twang with overriding pop and folk feel. Sounds very Byrds-like and in fact does feature former Byrd Gene Parsons on banjo. Is it a cover? Could be. Nice track if it isn’t. The album is loaded with nice tracks, some original. I thought I wrote a review of it but can’t find it anywhere in my files. Must have dreamed it. When the lead-off track of Farmacology took off in the same direction, I wasn’t too awfully bummed. When it’s done with the Farmer touch, I figured, it was worth hearing. But they threw me a curve. Not only is there good country and folk on the album, there are roots which carry the songs to the heights. Aiming For the Daylight catches Donovan‘s Sunshine Superman period perfectly; The Garden is reminiscent of Whispering Pines‘ solid self-titled 2012 album (you can never have too many guitar jams when they are done right— even the odd chant at the end fits; what better to take you out of a good jam than a ballad and Just a Note is perfect, the pedal steel a magic carpet ride of sound and, again, that guitar(!) (played oh so well by Dave Zirbel who, I assume, also plays the steel; Breathe In, Breathe Out has just enough South in it to keep you interested but not so much that you toss it on the slag heap with the many who overdo it (some might fine guitar work by Chuck Prophet, too— mighty fine); and Carrot and Stick is half country and half Flash and the Pan, that vocal effect in play which made Walkin’ In the Rain so damn good. Those are the tracks on their Bandcamp page (click here). They left off, and I don’t know why (possibly because they are covers), three others from the album. Of the three, The Door Into Summer is the most intriguing. Written by Chip Douglas and Bill Martin and included on The Monkees‘ Pisces, Aquarius, Capricorn & Jones Ltd. album, it reeks of what I used to call L.A. psychedelia— psych music emanating from the studios of Los Angeles in the late-sixties— melodic, folky, extreme Pop with harmonies straight out of Hollywood’s attempts at capitalizing on the psych movement. You have to hear it to appreciate it. It’s a beauty. They follow it up with one of my favorite songs by The Alarm, Rain In the Summertime, helped along by that band’s Nigel Phillips on drums. A one-two punch of distinction. I am still on the fence about the Farmers’ choice of Hank Williams‘ I’m So Lonesome I Could Cry, but that may have to do with the thousand other versions I have heard of the song. I have no objections, really. The Farmers’ version is spacy and ethereal, though it breaks out on the chorus. Hard to keep a good song down? I do believe. Below are a couple of videos of the band doing their thing. Pay special attention to the jams on The Garden. Put a light show behind them and that could easily have been The Fillmore or The Winterland of the early-seventies. And, yes, these guys are definitely in the running for Best Album of 2014. Licorice Pizza in the Mid-Seventies— We Were Family….. I have talked with a lot of people who had worked at Licorice Pizza over the years and every one of them thought the store they worked at was the best in the chain. I knew the two I worked at were because we had the best and most knowledgeable crew on the face of the Earth, every manjack of us ready to turn over large stones or fly to foreign countries to answer the questions of our customers. To outsiders, we were just retail. Inside, we thought of ourselves as warriors. Maybe that’s one of the reasons I could never get a girlfriend. I may have been a washout when it came to girls but the people I worked with didn’t care. We all loved music. I mean, loved it! I don’t think there was one person who worked at the Wilshire Boulevard store in L.A., my first store, who was there for any other reason. Nor at the Pacific Beach store in San Diego. We were family. I bring this up because just this past week, two members of that family contacted me for no other reason than to see how I was doing. I had asked about the both of them over the years whenever I ran into any of the old crew but no one knew where they were. Well, I know. Now. 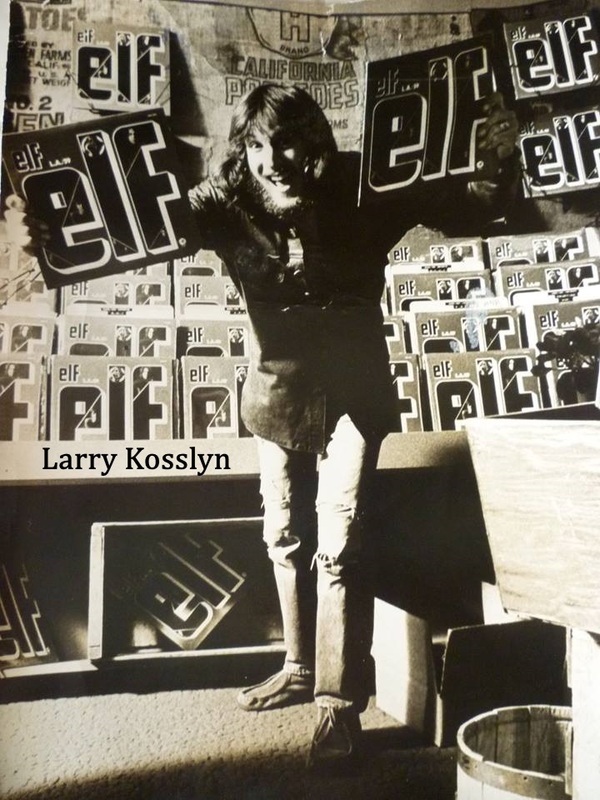 My memories started cranking when Larry Kosslyn messaged me. A howdy-do and a tip o’ the hat in recognition of lessons learned, musically, from me. I had to set him straight, though. I may have taught him a little something, but he taught me too. In fact, the stores I worked at, it seemed sharing music and information was a constant. All of us, it seemed, loved working together and the music made it a nirvana type of job. I remember one day, K and I (we called him Larry the K because we had two Larry’s who worked at the Wilshire Boulevard store and it was a simple way of separating the two of them)— anyway, the K and I each had an arm load of records to put in the racks and the music was blasting and we were rocking and all was good with the world when, passing each other going in opposite directions, we stopped, leaned back-to-back, and air-guitared a dual lead to perfection. Then, dual lead done, we went on our merry ways. It just seemed that we were totally in-sync with the world at that moment. Anyway, the K and I had a lot of good moments like those. He was a great guy to work with and to know. Kym Kittell (and that probably was not her last name back then) was one of the most up and positive ladies I have ever worked with. She had this intense love for certain musicians such as Michael Fennelly and Alex Harvey (of The Sensational Alex Harvey Band) and, I think, Max Webster and spent an inordinate amount of time trying to turn us on to them. She was like a little girl at times, bending forward and stomping her feet in a tantrum, telling us why we needed to hear this album or that and we loved her for her passion (and compassion, for she was and is still, I am sure, a very caring person). Sometimes I think we teased her too much. We didn’t mean to. But we never really told her that we took her and her music seriously. Not really. Kymba, I have many albums in my collection you made me listen to. Some are true treasures. Just so you know. Kym was responsible for my meeting San Diego progmeister’s Horsefeathers, a group of the nicest guys you could have wanted to meet. They sounded a bit like Gentle Giant, meaning that their approach to music was similar. We threw a party at the store one night and Horsefeathers played— just for us. It was a magic night. Kym’s parents came, her mother carting a huge metal container full of Swedish meatballs I have yearned for ever since. Kym, by the way, is the lady holding the album jacket in the picture above. I had gone down to San Diego to be assistant manager. 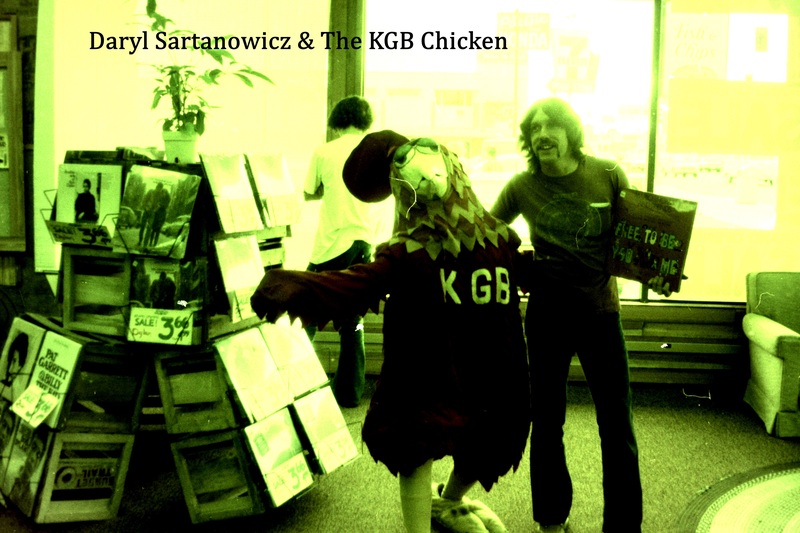 The manager was one of the best people I will ever know, Daryl Sartanowicz. Daryl and I would close the Wilshire store occasionally and work for a couple of hours with the music off, discussing everything from politics to religion to philosophy. He had been to Viet Nam while I had been frozen at Fort Lewis, so The War was an occasional topic. 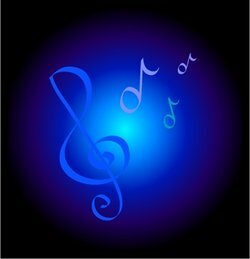 We became good friends because of Glass Harp, partially, for Daryl was a good Christian and loved what became known as Contemporary Christian Music (Christian Rock, to me) and Glass Harp played some of the best of that genre. The last time I spoke to Daryl, I was in Denver and called him hoping to stop by and say hello. He begged out of it, saying that it was not a good time. A few years later, I tried to find him through an Internet search. There was only one real response to Daryl R. Sartanowicz— information and directions to his grave marker in a cemetery in a suburb of Denver. He had evidently been ill when I had passed through. I hope he knew what he meant to me. Oh, I could go on. We had a lot of good people working at those stores. I remember them all and have always felt fortunate to have worked with them. I think about those days and feel a bit sad that few people will ever again have the camaraderie we shared. They were and are my friends. And we were, truly, family. Unfortunately, there is not much this week in the way of…..
Notes….. Man, I would have loved to have been at this show on November 4th at the Full Moon Cafe in Tulsa! Steve Young has been a favorite of mine from the early 70s when a buddy returned from leave and tossed two albums on my bunk and said, “These are two albums you need to hear” and walked away. They were Steve Young‘s Rock Salt & Tears album on A&M and the first Allman Brothers Band album. I would have found the Allmans on my own, them becoming huge shortly after. Steve Young is a maybe. He has never been afforded the fame he has deserved. Here are some clips from that night. Pay special attention to Jubal Lee Young and Amanda Preslar, who are definitely on the verge. Speaking of music I love, here is the latest video from Paige Anderson & The Fearless Kin, this time incorporating the dobro/resonator guitar of kids sister Daisy. I love these guys! Perhaps next week, you guys will find some videos worth sharing. Until then, I’m tired. Time for a nap. This entry was posted on November 11, 2014 at 5:04 pm and is filed under Opinion with tags Dayton, DBAWIS, Don't Believe a Word I Say, Dovells, Farmacology, Fearless Kin, Frank Gutch Jr., Indie Artists, Indie Music, jim colegrove, Jubal Lee Young, Kym Kittell, Larry Kosslyn, licorice pizza, Mark V, music, music videos, N.D. Smart II, New American Farmers, Paige Anderson, radio, Randell-Linzer, Records, segarini, Shangri-Las, Steve Young, Susan Darby, Teddy & the Rough Riders, The Knights. You can follow any responses to this entry through the RSS 2.0 feed. You can leave a response, or trackback from your own site.